Our staff takes pride in bringing you quality of life is improvements through our safe, natural, and effective wellness programs. We offer a wide range of services and offer not only care, but education and proactive solutions to stay healthy and feel great. Our mission is to ensure you leave smiling, feeling better each day, and confident that you know the steps that we can take together to ensure you are in the best position to feel great. We believe in lifting burdens. We believe in real relief. We believe in giving you the confidence to help yourself at home. We give you a foundation to build on. We work hard because we believe in you! Relief is out there. Let us help you find it. "The team at Ballard Chiropractic is awesome. I'm always at ease around the staff. Excellent care, awesome attitudes!" 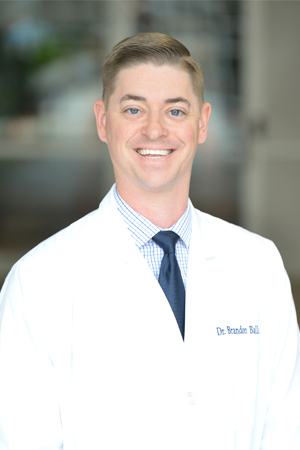 Dr. Robert Brandon Ballard is a specialized General Chiropractor based out of Lawrenceville, Georgia. Dr. Robert Brandon Ballard is qualified as a Doctor of Chiropractic (D.C.), licensed by the State of Georgia to practice chiropractic medicine -that discipline within the healing arts which deals with the nervous system and its relationship to the spinal column and its interrelationship with other body systems. Active license number of Dr. Robert Brandon Ballard as General Chiropractor is CHIR009470 in Georgia.